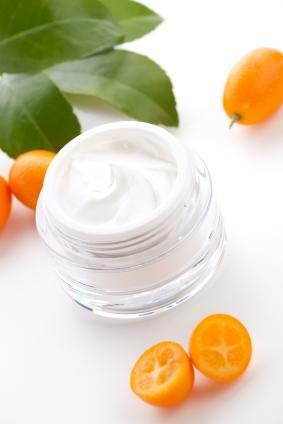 If you want to make sure you know exactly what ingredients are in your skincare products, or you just want to get silky smooth skin on the cheap, you should try some homemade lotion recipes. When you make lotion yourself, you can create nearly any scent and texture you like. Just be careful if you have allergies. While it may seem a little gross to put egg yolk on your skin, it can be to your benefit. The yolk can help nourish your skin with protein, plus it helps to bind the lotion together. Separate one egg and place the yolk only in a saucepan. Stir in three tablespoons each of glycerin and lemon juice. Simmer until thick, stirring as needed. Once the lotion is ready, you can put it in a resealable container. Be sure to keep it refrigerated. It works best on the hands as opposed to on the face or more sensitive areas. This lotion is best used warm. It can help to sooth muscles and promote relaxation. Place one tablespoon each of lukewarm water, glycerin and petroleum jelly in a microwave safe container. Heat the mixture on high in the microwave for 25 seconds. Stir until the mixture gains a uniform consistency. Pour in an eighth of a tablespoon of wintergreen essential oil. Pour in a half teaspoon of almond extract. Stir until both substances are completely absorbed. Use this lotion immediately, if possible. If you can't you may have to microwave it again as it can thicken upon cooling. This lotion smells great, like you're stepping out of a flower garden. It results in a pretty thin lotion, good for areas of your skin that don't need heavy hydration. Mix together a half cup of virgin olive oil and a half cup of distilled water. Add in a quarter cup of glycerin. Break apart four gel caps of vitamin E and four gel caps of lecithin, both available at health food stores. Pour the liquid from inside the caplets in to the mixture. Add in seven drops of lavender essential oil. Stir or blend for two minutes. If you want a thicker lotion for those tough areas of the skin, like the heels and the elbows, you can't do much better than body butter. Mix together two ounces of cocoa butter and one ounce of shea butter. Add in one ounce of beeswax and two ounces of hempseed oil. Pour in four drops of your favorite essential oil. Both men and women can use this lotion to help soothe the irritation and dryness that can come from shaving the face or body. Pour one-and-a-half tablespoons of witch hazel and two-and-a-half tablespoons of apple cider vinegar in a glass jar. Add in seven-and-a-half drops each of bergamot and lemon essential oils. Add two-and-a-half drops of rosewater. Finish with four drops of peppermint oil. Seal the jar and shake it vigorously. Continue to do so once a day for seven days. It will be ready to use after a week. If you're allergic to any of the ingredients in these handmade lotion recipes, either do not use them or see if you can find an acceptable substitution for the offending ingredient. Always cover these lotions when storing to help prevent bacterial contamination. Keep them in a dark and cool place. The refrigerator is ideal. Discard unused lotion after two weeks.